Everybody is talking about Pokémon Go, and whether you are an avid player looking to catch those elusive rare Pokémon, or are a bit bewildered by the trend, you can’t fail to appreciate its impact. 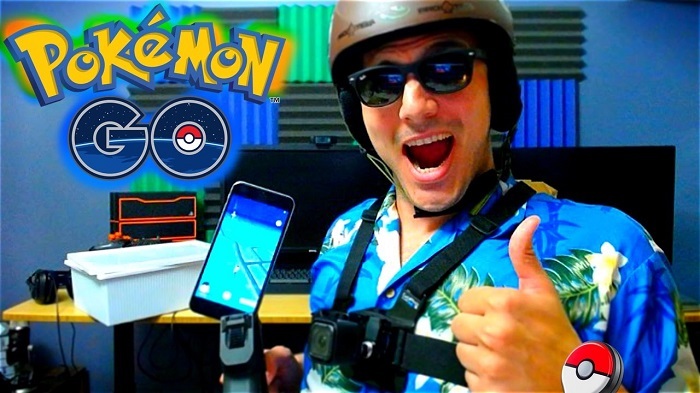 When we come to review 2016 at the end of the year, amid all of the sad celebrity deaths, crazy politics and general tragedy, the Pokémon Go phenomenon is sure to provide some much needed levity to how we remember this year. If you run a website, you’ll probably know how important it is for your users to actually be able to access it whenever they want. For ordinary bloggers and business site owners, this comes down to web hosting. When you choose a package from a provider like bestwebhosting.co.uk you opt for one that offers enough bandwidth to support all of your potential visitors. Of course, when you are running something as big and bandwidth intensive as an augmented reality game, it becomes more complicated, but the principle is still the same – you need enough server power to keep all of your visitors supported. Niantic were not expecting Pokémon Go to be as big a hit as it was and their servers have been a real bugbear for players of the game. Things are improving, but these problems early in the game’s life may have frustrated people and lost them players. As a result of the server issues, Niantic were not able to release Pokémon Go throughout the world according to their original schedule. However, they could have handled this better. They gave no real updates on when the game would become available in places like Europe and Canada, where, with all the hype about the game, people were desperate to play it and found workarounds that allowed them to do so – therefore meaning the servers were getting pressure from these countries’ users anyway. Many players complained that the game itself didn’t include enough information on how to play. This may have been intentional, driving users to the internet and generating more hype, however it made it a less user friendly experience than most game developers aim for and may well have driven off some confused players. Who knows whether Pokémon Go would actually have been even bigger if they had handled these things better – all we can really say for sure is that it will go down on record as one of the most interesting game launches of all time, and one of the big trends of 2016.